It is not a secret, that I don’t like the cold weather but I like to wear sweaters and leather jackets, when it is not too chilly yet sunny. The good thing about sweaters is that they are made in so many styles, that it gets never boring to wear them. One of my favourites are the oversized sweaters and the ones with bat sleeves, but you can also find off the shoulder-, and cold shoulder models, and there are different necklines, like V-neck, round-neck or turtleneck. I saw some with tassel design, too. You can pick a monochrome or a coloured top, but you can also go for a lovely patterned version. 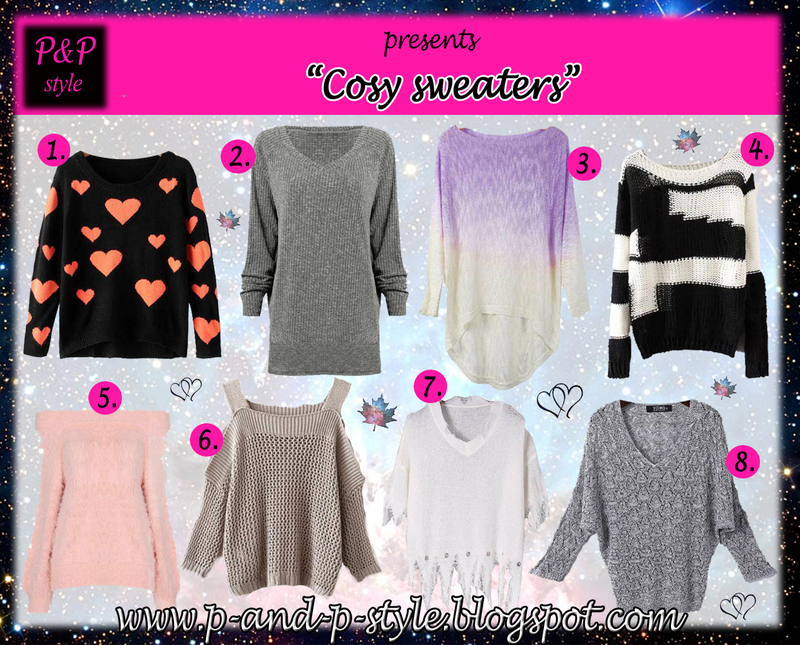 Sweaters are definitely cosy and keep you warm. On the picture above I collected some appealing pieces from the online store, Yoins. These sweaters are so versatile and wearable with so many piece of clothing. You can create a casual outfit or one for the office. Pair them with jeans, skinny trousers or flared pants, choose a skirt, put it over a dress, or when they are long enough, wear them as a dress, with tights and over-the-knee boots. You can have a very elegant look, if you wear them atop white shirt, and you let the collar pop out from the sweater. Find your fave stylish women sweaters online, go for the design that suits you and your personality the most. Try them out with different accessories and shoes. Or if you prefer shirts, there is a fashion tops online sale as well. Do you like sweaters? Which model do you prefer? And which one from the picture above is your favourite? Interesting selection, my darling, lovely post! How cute is the sevent sweater! I love sweaters, cute picks! Love your blog and your post. So cute. Love all!! How cozy! I love the purple gradient one. Great selections, dear! I love the pink one, so sweet and pretty! Love cozy sweater! The grey and The B&W are my favorites! nice sweater!leather jackets are the perfect item to wear for this time period but let me tell you a little secret.they are perfect year round.Don't be afraid to invest in the dark red leather jacket because i promise you'll get your money's worth. Thank you! I love leather jackets, but it depends on where you live, how often you can wear them in a year.